Fresh mint colors and light texture on the background make this clean theme pop out, presenting your store goods to a wide audience effectively. Powerful shortcodes and Bootstrap features will empower your shop with a pleasant user experience. Filterable search, well-done categorization and intuitive navigation will offer seamless browsing to the site visitors. At the same time, stunning animation, large hero area and retina-ready images of products will easily engage them. 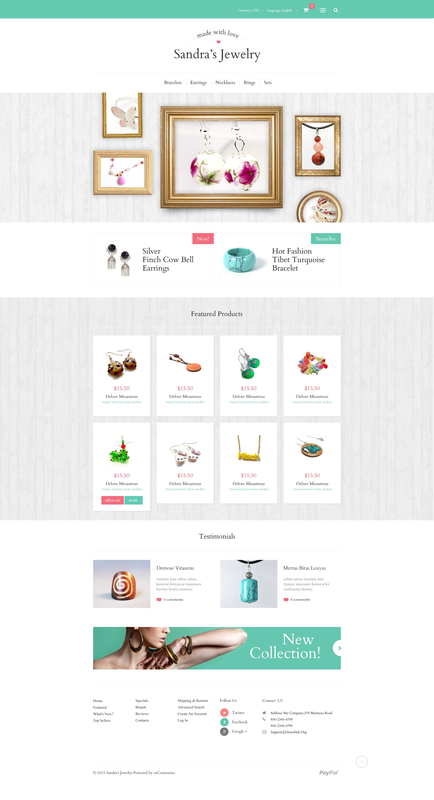 To set up a store with ever increasing number of sales, try this well-crafted hobby shop osCommerce template.